Many patients have misconceptions about fluoride or don’t fully appreciate its importance. 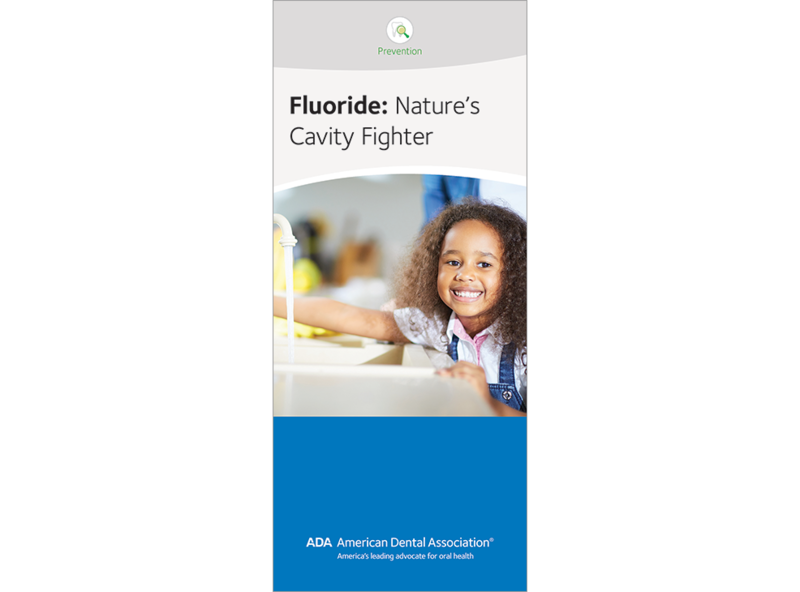 Help them see fluoride as a dental health ally with this brochure. Revised in language that’s easy to read, it lists sources of fluoride, both topical and systemic. Benefits and safety of water fluoridation are outlined, and patients are reminded that most bottled waters lack fluoride. Also gives guidance on proper amounts of fluoride toothpaste for young children. 8 panels, pack of 50.